John Strickland is the best kind of teacher/preacher/healer… the kind that talks about what he knows and what he has lived, and what he has demonstrated in his own life. Rev. John Strickland’s book explores healing from many perspectives. Put them to the test and not only will you be healed; you will be a better person. Rev. John is a teller of tales, true tales, that you will make your own as you discover that you are whole, and always have been. Truth be told! Rev. John’s folksy storytelling is a sneaky way in to healing just about everything. There simply is not enough said and written today like Rev. Strickland’s writings, which helps connect us with our inner power and possibility. All I can now ask is that he gives us more! 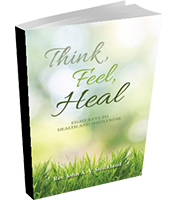 This book is an engaging and lucidly written first aid kit for the body and soul. Strickland offers a step-by-step prescription for the healing process, which is centered upon attitude, belief, hope, imagination, forgiveness, and authentic action. Included are many compelling examples and exercises to try. It’s an enjoyable read, and it’s easy to put the steps to work in your life.